How big is the oil price ‘risk premium’? After an 18 month hiatus the oil market has rediscovered the term ‘geopolitical risk premium’. Oil supply outages are at their highest level in more than a decade bolstering the risk premium that has helped drive crude oil prices from $35 per barrel back in February to $50 per barrel in early June. According to energy economist Philip Verleger Jr. the $15 per barrel rise in prices can be entirely explained by recent unplanned outages. The outages removing at least 1 million b/d and up to 2 million b/d at its peak. 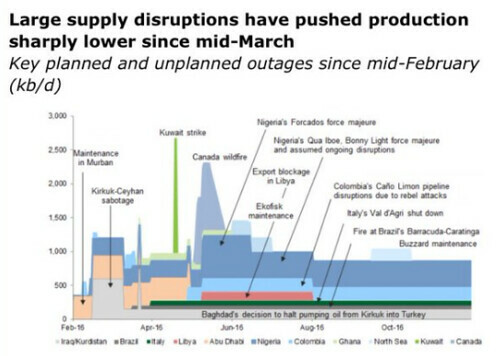 Verleger has looked at 8 periods of major unplanned outages since 1980 and found that the average oil price reaction is $15 per barrel. The largest price gain came in 2011 when a 1.3 million b/d disruption sent the oil price up $27.50 per barrel. Of course it isn’t just the actual amount of oil output that’s down that should matter. The composition of the outage matters too. Unlike post 2011 when the Arab spring contributed to contagious production outages from Libya to Yemen and Syria to Iraq, the recent spike is different. Sabotage to a pipeline in Iraq, a wildfire in Canada, Colombian rebels blowing up a pipeline and a fire in Brazil. There are themes running through many of these disruptions, particularly acts of terrorism (see tweet from Niger Delta Avengers). But relative to historical periods of disruption they appear to be relatively disconnected. In one way that might make you think the world appears safer, on the other hand it also makes it a lot more unpredictable. Related article: How should commodity traders now think about geopolitical risk? Yesterday Brent crude prices jumped by over 5% to over $40.50 per barrel, the first time the oil price has risen above $40 per barrel since early December and up more than 40% from its January low. But, could this be a false dawn for oil prices just like in 2015? Loss of confidence in output freeze: Saudi Arabia, Qatar, Venezuela and non-OPEC member Russia agreed last month to freeze output at January levels, but only if others do the same. 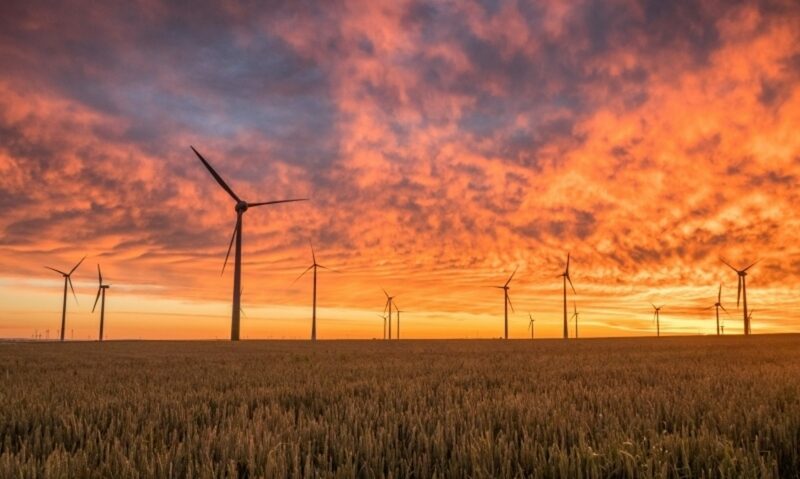 Russia’s energy minister has indicated that a meeting between OPEC and other leading energy producers could take place between 20th March and 1st April. However, the market could quickly lose confidence in the initiative, even if there is agreement. The key to an agreement taking hold will be Iran’s participation, but it is unlikely to want to cede acquiring market share now that sanctions have been removed. Recent isolated cuts to output (Iraq, Nigeria) were more to do with unrelated geopolitical than an attempt to actually control output. US shale responds: The decline in US shale output may slow or reverse if operators can take advantage of higher crude prices and hedge near term and future production. A price near $45-$50 per barrel is break-even for many. Although shale is more responsive than conventional production it still operates with a lag. Drilled but uncompleted wells could result in output returning faster than the market thinks. As it turned out, commercial stocks of oil held in OECD countries had already risen above 2.9 billion barrels by the middle of 2015 — and then kept going. Not only has the outlook for global GDP growth started to grow dimmer this year, but the relationship between GDP growth and oil demand is starting to diverge in substantial, structural ways. China, which has been the engine to high prices for all commodities and especially energy commodities, is sputtering. Diesel demand in China peaked in 2011 and is looking increasingly unlikely to start growing again any time soon, if ever. Most tellingly, oil has started to lose its one remaining monopoly as a transport fuel as competition from natural gas and electricity appears inexorably on the rise. “Many of the factors that have supported the recent upward trend in commodities look transient”. Back in 2015 Brent crude oil prices peaked in early May at $68 per barrel. Watch out for oil to peak around the same period this year, but at a lower level of around $50 per barrel. Related article: Copper and oil prices: Lower for a bit longer?